We are a family owned and run business dealing with fireplaces since 1979. Our main showroom is based in Engomi – Nicosia, having also shops in Limassol and Larnaca. In Pafos and Paralimni we are working with dealers. Our warehouse and workshop is situated in Kokkinotrimithia. All the personnel is well trained and experienced guided by the owner which is Mech. Engineer. 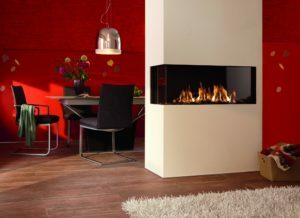 We provide to our customers a full range of fireplace products and we undertake the installation of the fireplace and pipes, decoration and maintenance. Marchona group of companies is on the cooling field also. We import and sale Australian Evaporative air coolers that cools down the hot summer air. The production of safety matches is a process done at our owned factory in Nicosia. We produce the commercial box “Flame” that can be found in supermarkets and also boxes used for advertising on Hotels, restaurants and Pubs. On the process of buying a fireplace people have to make a decision from where to buy. Here are some of the reasons why they should choose us…. The most experienced company on the field of fireplaces working exclusively since 1979. Well experienced and trained technicians and salesmen. We deliver and install the fireplaces with experienced personnel. An excellent after sales service with genuine spare parts. Variety of solutions on decoration.